Free Shipping Included! 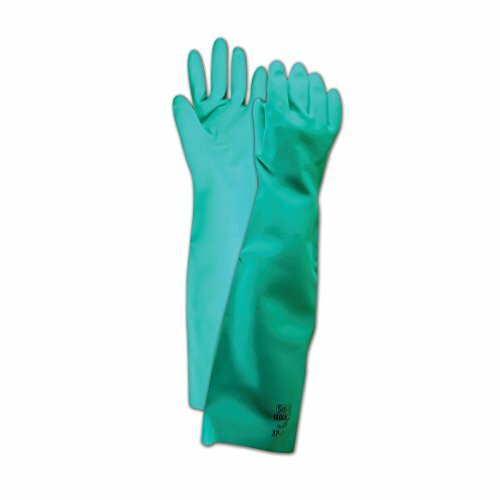 Ansell Gloves 102945 Ansell Sol-Vex 37-185 Unsupported Nitrile Gloves, Size 9, Green (Pack of 12) by Ansell Gloves at Blog Free Here. MPN: 102945. Hurry! Limited time offer. Offer valid only while supplies last. Sol-vex 37-185 gloves are made of a high-performance nitrile compound which provides an outstanding combination of strength and chemical resistance. Sol-vex 37-185 gloves are made of a high-performance nitrile compound which provides an outstanding combination of strength and chemical resistance. When exposed to aromatic and petroleum solvents, as well as caustics and animal fats, sol-vex gloves have proven to be a superior choice over rubber or Neoprene. Sol-vex gloves won't swell, weaken, or degrade, and they offer better protection against snags, punctures, abrasions, and cuts. And, as added benefits, sol-vex gloves do not promote contact dermatitis, and their component materials comply with FDA regulations for food contact. Great for chemical and food processing, automotive assembly, machine operations using cutting oil and coolants and electronics. If you have any questions about this product by Ansell Gloves, contact us by completing and submitting the form below. If you are looking for a specif part number, please include it with your message.